There seems to be a trend for my Sumiya dining experiences – lunch usually borders on average but dinner are always much more enjoyable! The new Sumiya branch at Suntec City boasts a unique circular Enomatic sake dispenser with 16 different types of Japanese fermented rice wine! Just get a post-paid card from the staff, insert into the machine, press your selection and drink away! The sake range from lighter, easy-to-drink brews to higher quality, more full-bodied varieties meted out in a tasting (20ml from $2.20++), half (60ml) and full (120ml) portion. Freshness is key in Japanese cuisine and if there is only one dish you can order (I hope not! ), get the bluefin tuna! It’s brilliant – a single cut of imported tuna showcasing three premium parts all at once, i.e. akami, chutoro and otoro. I adore it, of course! A simpler but no less delicious way to enjoy seafood at Sumiya is to order it isoyaki-style. Doused in a house-made soy-dashi broth and grilled in its shell over charcoal, the plump scallop burst with umami flavour tinged with a tantalizing smokiness. The garden salad is forgettable and not that great value-for-money either. Dried fish is a traditional delicacy among the Japanese for thousands of years and despite the name “dried”, the fish is actually very moist and retains its natural juices! A special fish-dry machine is used to achieve this – heat controlled at 30°C replicating the warmth of sun rays is emitted and intensifies the flavour of the fish. Another blast from the past is irori genshiyaki – an ancient Japanese style of charcoal-grilling fish. This entails skewering whole or selected fish parts and slow-grilling them vertically around a stack of smoldering charcoal for 20-40 minutes. I highly recommend the yellowtail collar – so juicy and tender with evenly crisp skin! One of the restaurant’s signature is “Can Can Mushi” (a.k.a. ryoshi mushi), a hotpot of sorts inspired by the way Japanese fishermen cook freshly-caught seafood in a tin can on the boat or on shore. Think of it as a Japanese-style steamboat! You can even pick the soup base – original clear broth, tom yum soup, and soy sauce miso-based soup with garlic and chilli. Not my favourite since I’m not a fan of steamboats in general ha. Desserts are worth a try too! With only 15 precious servings available daily, a pre-order of Sumiya Tropical Dessert is advised. The beautiful hand-carved ice bowl holds multiple colourful gems such as fruits, sago, azuki paste and even matcha ice cream! Other indulgent treats include mango and yogurt with matcha ice cream and deep-fried moreish pumpkin cake. I can’t pick the best out of the lot because my sweet tooth loves them all! My thanks to Rachel for hosting dinner! A quintessential Japanese winter dish, oden is traditionally served in a pot of light dashi and a mixture of 4-5 ingredients such as boiled eggs, fish cake and daikon. To me, it is simply the Japanese equivalent of yong tau foo and HAN has taken one step further to modernize it by serving each ingredient in individual courses, allowing the distinctive taste of each component to be highlighted in every dish. Go all out and opt for the (comprehensive but expensive) HAN’s Oden Kaiseki ($160++) which includes an appetizer, sashimi, 7 kinds of oden, 1 grilled course, 1 fried course, a choice between udon or ochazuke and dessert. That may sound like a lot of food but at the end of my dinner, I felt comfortably full as the entire meal was generally light and clean-tasting. With versions of oden differing according to region, HAN has chosen to serve Kansai-style oden, native to the southern-central region of Japan’s main island of Honshu. This region spans the prefectures of Osaka, Kyoto and Okayama and uses a light shoyu in their oden. Although Executive Chef Seiichiro Arakawa’s interpretation of oden reflects the style of cooking in Kamigata, Osaka, his version uses a white shoyu which yields an even clearer broth and sweeter taste. According to Chef Arakawa, the best oden is guided by three principles. The first is to ensure precise seasoning so that the ingredient itself has a specific taste. The second requires the dish to be accompanied by a sauce or condiment (e.g. miso or mustard). Lastly, cooking must be used as a vehicle to bring out the natural and purest taste of each ingredient used. I like that the oden is cooked and prepared right before the guests seated at the dining counter. Each dish is handcrafted before being placed into simmering oden pots and cooked for a precise length of time. Chef Arakawa uses seasonal ingredients from Japan and incorporates Kaiseki techniques inspired by his training at Kitcho, a Michelin star traditional Ryotei in Kyoto. His oden soup base is prepared with a blend of kelp, dried bonito, white shoyu and mirin while a selection of sauces and condiments are chosen to complement and enhance each dish. Before oden and for the past three years, HAN specializes in kushikatsu, i.e. skewered meat/seafood/vegetables dipped in batter and panko (breadcrumbs) and deep-fried in oil. I have never believed in frying fresh seafood but at least these were expertly fried and not oily at all! After all the seafood dishes, the wasabi ochazuke and fresh seasonal Japanese melon/peach were a refreshing change! P.S. Those looking for the complete oden experience can select HAN’s Oden Omakase ($120++) which includes an appetizer, 12 different types of oden (truly for the oden lovers! 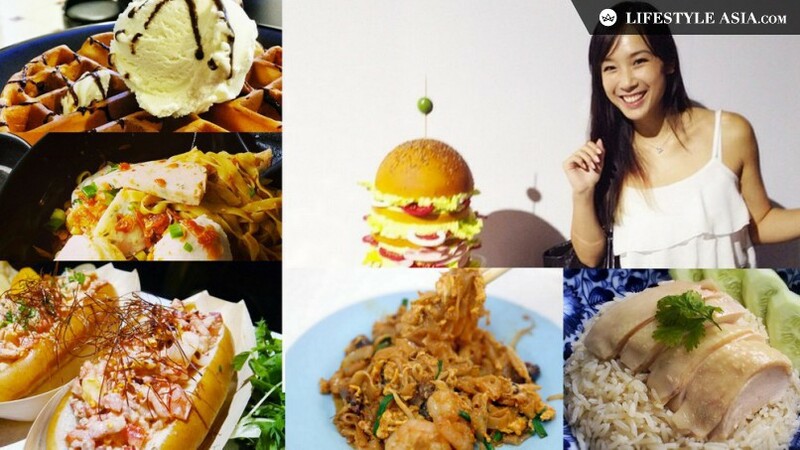 ), 2 palate cleansers, a choice of udon or ochazuke and dessert. Alternatively, ala carte oden is available at market price. Special thanks to Ada for hosting dinner! Summer Unagi Festival at Mikuni‏! Fellow unagi lovers, you won’t want to miss the summer unagi festival “Doyo No Ushi No Hi” at Mikuni! Complemented with the season’s freshest items, the delectably presented dishes are a treat for the senses. Although the 5-course lunch is a subset of the more luxurious 8-course dinner, it looks no less impressive! My favourite on the dinner menu ($220++) is the appetizer of delicate barbecued eel jelly with tamago accompanied by tangy smoked salmon yuzu, eel yahata maki burdock and addictive crispy eel bone. All parts of unagi can be eaten and this dish demonstrates exactly that – skin, meat and bone are all creatively utilized! Out of the 8-course menu, only the soup and dessert have no unagi in it (I’m not complaining). Warm and comforting, this bowl of beancurd skin and shreds of snow crab seems like a savoury version of the Chinese ginkgo beancurd 腐竹 dessert! Beautifully presented in a shell, the plump and delicate grilled “salted” eel is far from salty but naturally sweet and luscious! Have to admit that I’m not a fan of the chewy abalone though. Each well-seasoned skewer of beef is deep-fried in panko before being topped with a piece of unagi, mustard caviar, flying fish roe and uni. Not for the faint-hearted, these golden skewers are Chef Moon’s take on the traditional Japanese recipe! My seafood version was equally decadent! Highlight of the lunch and dinner menu is definitely the unadon (鰻丼), a.k.a. charcoal grilled eel on rice. Presented in an exquisite lacquer box, the finely grilled and aromatic eel takes center stage with its succulent and tender meat. Incredibly soft! Peaches (momo) are in season now so I was not surprised to see it being featured on this limited-time-only menu. Ripe and juicy Kyushu peach goes extremely well with the smooth ice cream made of peach and yogurt! Wonderful and refreshing end to one of the most memorable meals at Mikuni so far! Thank you for hosting dinner, Ruth and Laureen!